Designed for beginning meditation students, this free book contains 365 Steps (daily meditation practices) that teach you how to see, to know and to act with the certainty and the authority that the Creator has given you. For those ready to embark on their life's purpose, Steps to Knowledge is here. Practicing meditation every day provides a solid foundation of experience and develops the thinking, perception and self-motivation necessary for both worldly success and spiritual advancement. Spiritual guidance about meditation and inner knowing. Get Instant Access to Steps to Knowledge! Steps to Knowledge takes you on the journey of discovering Knowledge, the mysterious source of your inner power and authority, given to you by God to guide and to protect you. Practicing the Steps to Knowledge has been the most profound experience in my life. This is the book I recommend more highly than any book I have ever read in my entire life. I recently began Steps to Knowledge… for the fourth time. How does one book contain so much power to inspire, to challenge and to compel? Steps to Knowledge offers a challenging study and meditation practice that will support you at the core of your being. This book (Steps) is important. I see that it has the power to inspire a revolution in thinking and in being...a leaderless revolution where everyone is called to what they Know for the world and for themselves. I have found Steps to Knowledge an invaluable preparation. I cannot recommend it highly enough, it is a very remarkable book and I'm so grateful that I found it! Since I’ve started studying and practicing the Steps To Knowledge, my awareness has expanded beyond my expectations. Begin your journey in Steps to Knowledge, NOW! 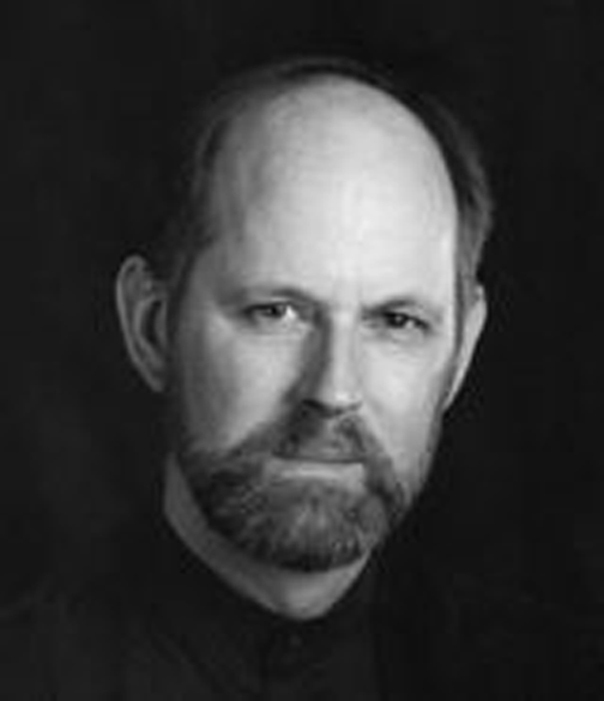 in 1989, Marshall Vian Summers experienced an overwhelming “Angelic Presence” come into his mind and environment. In the 20 days that followed, he received Steps to Knowledge, a magnificent meditation guide book which has touched thousands of people from all over the globe and from all faith traditions. Received in just 20 days during a state of revelation, all 365 Steps were revealed that can enable each person to make the return to God. Get Instant Access to Steps to Knowledge and download a FREE electronic version of the Book now! Steps to Knowledge is for people who are ready to undertake their greater work in life and who realize that they are here to make a contribution to the world at this critical turning point in our history. This book is here for YOU. Who is Steps to Knowledge for? Steps to Knowledge has been provided as a Way for individuals who feel that a spiritual calling and purpose are emerging in their lives, but who need a new approach to fully comprehend what this means. Often these individuals have felt this pull for a long time. Steps provides a foundation upon which they can begin to respond to this calling. The only entrance requirement is the determination to know one’s purpose, meaning and direction. How does Steps relate to people's daily needs? The development of Knowledge is absolutely key for people to function with certainty in everyday life. In your relationships, your work, your personal health and your spiritual awareness, you need the power that the Creator has given you to guide and to preserve you. The New Message speaks of this and provides a way to learn these things. Knowledge is the deeper spiritual mind that the Creator has given to each person. It is the source of all meaningful action, contribution and relationships. It is our natural Inner Guidance system. Its reality is mysterious, but its Presence can be directly experienced. Knowledge is remarkably wise and effective in guiding each person in finding his or her right relationships, work and contribution. It is equally effective in preparing one to recognize the many pitfalls and deceptions that exist along the way. It is the basis for seeing, knowing, and acting with certainty and strength. It is the foundation of life. What is Steps to Knowledge Designed to Achieve? Steps to Knowledge represents both a path to God and a path of contribution in the world. It engages the student in solving the two most fundamental questions in life: Who am I? and Why am I here? Steps addresses these questions within the context of purpose, relationships and community. It emphasizes that everyone is looking for these in the world and that this pursuit underlies all the desires and endeavors considered to be meaningful here. The experience of purpose, relationships and community gives each person whatever sense of meaning and identity they may have at any given moment. Steps indicates that these needs are intrinsic to everyone and that everyone has brought the answer to these needs with them from their Ancient Home. Thus it says that every person carries, unknowingly, their own fulfillment within themselves, within their Self-Knowledge. Through practice and revelation, Steps to Knowledge gives students the necessary structure to find Knowledge, to engage with Knowledge and to follow Knowledge in every situation. With this, they begin to find their true direction in life. Studying every day builds the skill and the confidence that only consistent self-application can provide. How was Steps to Knowledge Given? 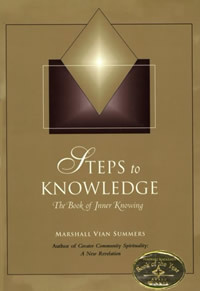 Steps to Knowledge was revealed to the teacher Marshall Vian Summers in the Spring of 1989. It was received over a fourteen-day period in a state of revelation. Steps to Knowledge was provided by a group of unseen spiritual teachers who describe themselves as Teachers of the Greater Community. Their message is universal and yet their methods are unique for our time and world. See the Steps Vigil page for more information and stories on how Marshall received Steps. How can Steps help people find their Higher Purpose in Life? The gift is within you. The Way of Knowledge is here. The Way can only be known. For it to be known, you must have a foundation in Knowledge. That is why we take the Steps to Knowledge. It is not a matter of opinion or viewpoint. It is a matter of recognizing the truth face to face and experiencing it deeply. Therefore, for those who can see, hear and respond, there is a “Way” to find what you most deeply know and what you are here to do. You are free to disagree, but you will not know or see until you have advanced in the preparation provided by the New Message.